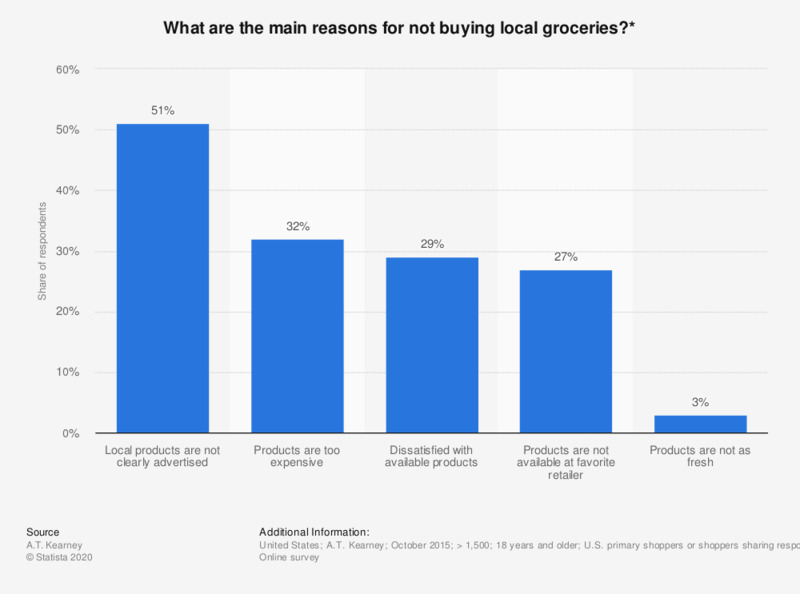 The statistic depicts the results of a survey conducted in October 2015 by A.T. Kearney concerning the reasons why U.S. shoppers do not buy local groceries. The survey was conducted online among more than 1,500 U.S. shoppers who are primarily responsible for the food shopping or indicated to share the food shopping responsibility in their household. Some 27 percent of respondents said that local products are simply not available at their favorite retailer.